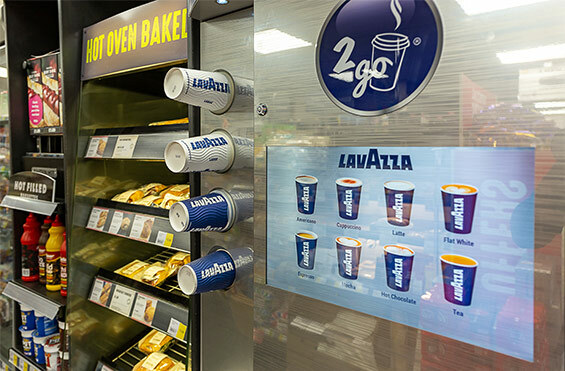 Quick, convenient coffee to go is crucial for train stations, airports and bus terminals. It’s a simple and cost-effective way to offer travellers great quality hot drinks 24 hours a day. 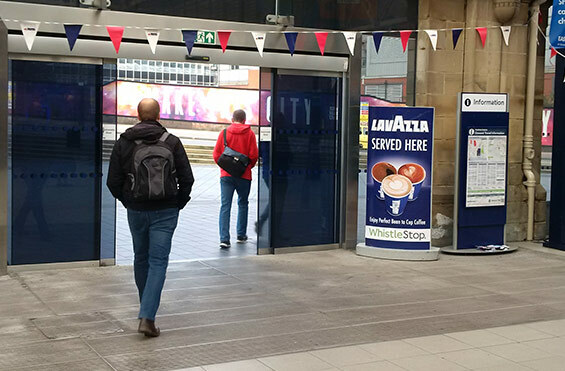 During busy periods a self serve coffee machine can give commuters a faster option, keeping queues down and customers happy. 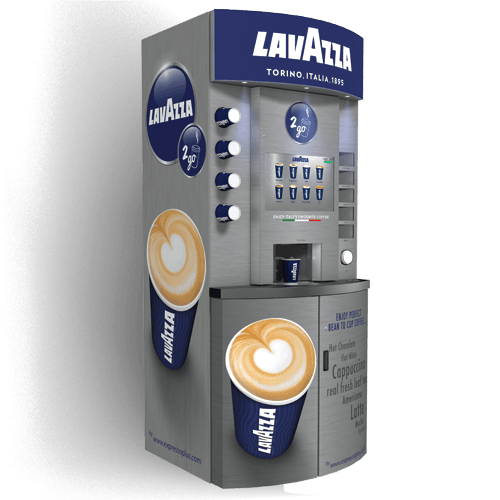 Media displays on our top ranking coffee vending machines can be customised to showcase your own videos and key messages. Using media playback is a great way to capture your customer’s attention, advertise complementary products and provide travel information. Our partner brands have built their reputations on quality, taste and value. Their brands are instantly recognisable and trusted by consumers across the globe. 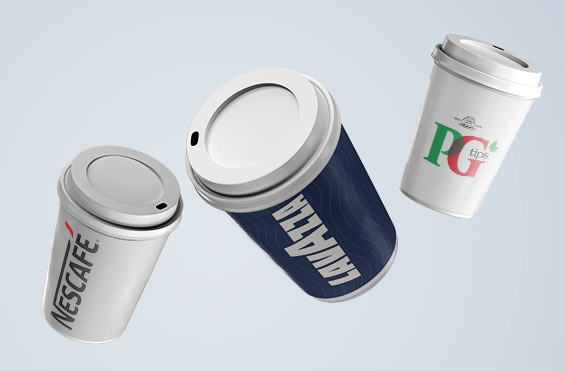 Lavazza, Nescafé and PG tips have a proven track record of customer satisfaction. Use their reputation to attract custom – their quality coffee will bring people back for more. 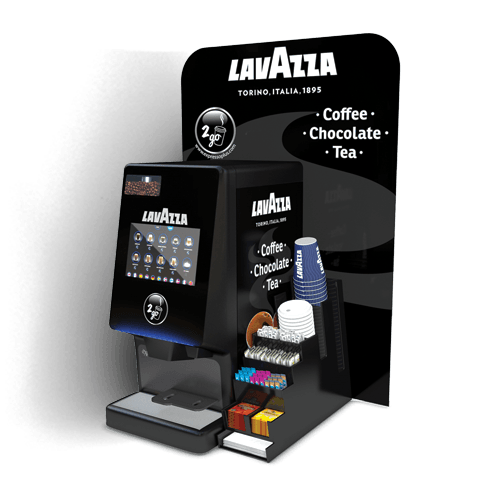 Our self serve coffee machines can be programmed to take payment via card, wifi, Apple Pay or ‘pay at till’. Choose the payment option that works for you. Keep queues down with fast payments for those on-the-go or send your customers to the till, via other goods. 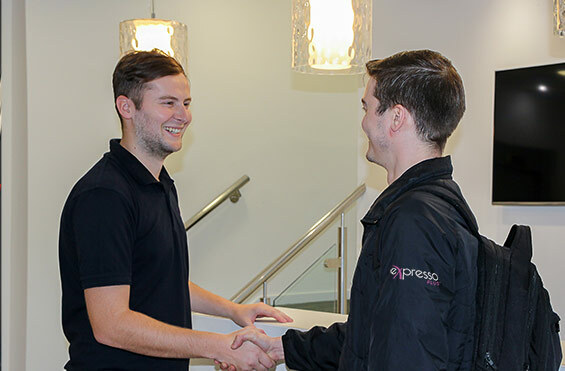 Our packages are custom designed and include a dedicated Brand Guardian to provide staff training, quality assurance and on-going point-of-sale. 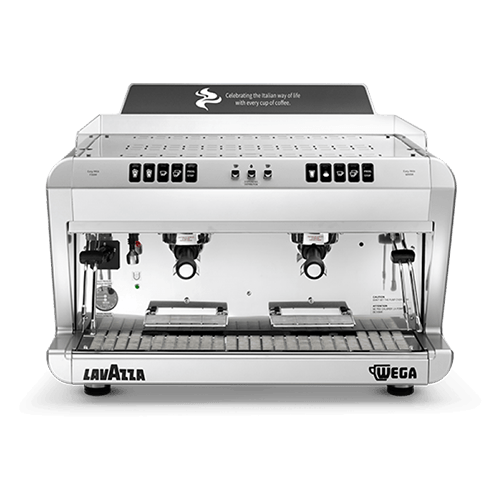 You’ll get the most from your self serve coffee machine and enjoy peace of mind knowing one-to-one support is always on hand. Get in touch now to find out more about Coffee to Go for travel hubs.